Last night was the season 3 finale of Being Mary Jane, and I can't believe it's already over! Picking up from last week, Mary Jane wakes up in bed with Gorgeous Guy (apparently that's the white boy's official nickname, though we STILL do not know his actual name). They talk about potential dates when the doorball rings, and it's David's mother Simone at the door! Though MJ ignores her knocks at first, Simone is persistent and MJ eventually lets her in. Simone, of course, is here to try to convince Mary Jane to go back to David, which MJ is NOT here for! She asks if Simone forgive her son if she was in Mary Jane's shoes? Probably not. Mary Jane firmly tells Simone that it's over between MJ and David, and that Simone needs to let go. I was proud of MJ in that moment, because she could have very easily slipped back into her old ways, pining after this man. Glad to see she's moved on! Later, Mary Jane goes to Cece's bookstore to talk about injustices in the black community. Afterwards, she reveals to Cece that she has been offered a publishing deal for a memoir that targets the black demographic. She wants to mention how the two of them met through Cece's extortion, and the hardships that led them both to that moment. Cece, really needing money for her bookstore, agrees to it happily. That night, at the club, Mary Jane and Gorgeous Guy participate in a fun karaoke session. However, Mary Jane notices a black couple is looking at them funny, seemingly because they are an interracial couple. The next day, social media is buzzing about Mary Jane's date! On hit talk show The Real the next day, the ladies talk about Mary Jane dating a white guy. Of course, many black women feel like MJ is a hypocrite for being in an interracial relationship, especially after her "Ugly Black Woman" segment. 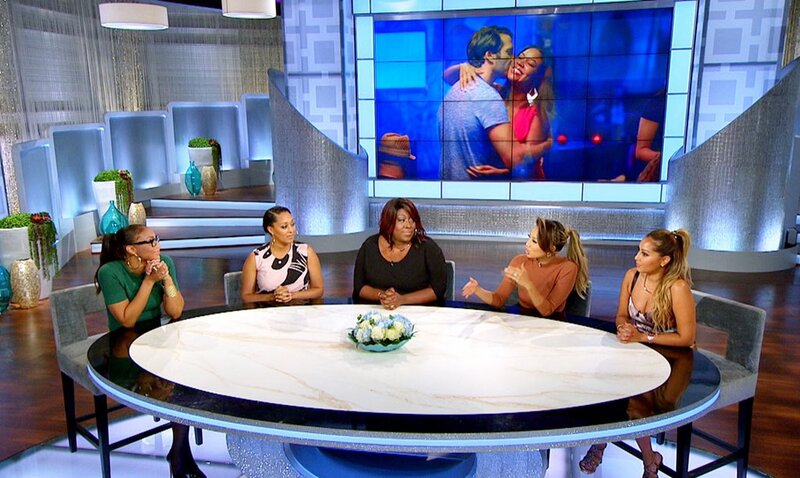 The ladies have a short discussion about interracial dating, and people passing judgement, especially with one of the hosts, Tamera Mowry-Housley, being not only in an interracial relationship, but also the product of an interracial relationship. It was nice to see how BET added in their show! Back at SNC, Greg, of course, wants to capitalize on all of the attention Mary Jane is getting, and suggests she relaunches talkBACK by discussing interracial relationships for talkBACK! Mary Jane doesn't want to start the show off by speaking on her personal life, but she owes Greg a few favors for even getting the show back in the first place. MJ reluctantly agrees to go through with it. When she tells her young team about the topic, Nina states adamantly that she didn't sign up to do the fluff pieces. However, Mary Jane tells her that sometimes you have to go along to get along. "This is life. Deal with it," she says. This is true. However, I do hope that Mary Jane doesn't revert to her Primetime stories with talkBACK. Give Greg and the higher ups what they want every now and then, but really use this show to focus on stories that make a difference! At the Pattersons, Niecy plays with Trayvion, and quietly asks PJ if he's talked to Patrick, and he says no. As Paul walks into the room, PJ states that he and Niecy are going to go car shopping to get Niecy a new ride. Paul says that he's proud of PJ, feeling like Niecy deserves to have a man stand up for her, since Paul thinks Patrick doesn't. I know Paul is upset at Patrick for using these pills, but that was a low blow. Meanwhile, back at SNC, Kara and Marison have a short, tense encounter in the lunch room, Kara tries to spark a conversation, but Marisol quickly storms out because of their last confrontation where Kara basically stated Marisol is sleeping her way to the top. Greg later asks Kara to meet in private, where he confronts her about her accusing Marisol of having an affair with him! Marisol plans to file a complaint to HR against Kara, and Kara could get fired! He tells her to go down to HR, clear his name, and fix this ASAP! Mary Jane suggests talking to Marisol, but Kara is so caught up with how she dealt with these kinds of situations herself instead of running to a boss or HR. When Mary Jane asks what Marisol has on her exactly, Kara admits what she's said about Marisol and Greg. She feels like maybe she should've been a tease and gotten ahead a lot faster. She's going to hate it, but Kara has to try to talk to Marisol and fix this, for the sake of her job! 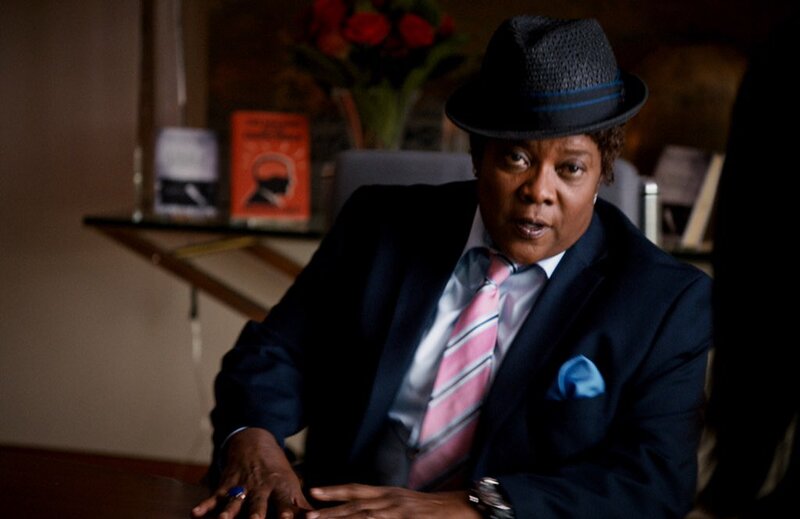 On talkBack, Mary Jane does talk about interracial dating, asking have attitudes truly changed? That night, while having dinner with Gorgeous Guy, she states calmly that she can't date him anymore. She admits that she does care about the judgement that others pass on her for dating a white man. She already have struggles that she didn't ask for as a woman of color, so she doesn't want to bring on another struggle by being with him. Mary Jane wants black love, which is all well and good. To each his own. However, I find it interesting that she did this whole segment on the matter, seeming to try to convince others against prejudice, and then breaks up with him because she herself can't deal with it. Then again, Mary Jane is just playing the field right now, so this probably wasn't going to last too long anyway. The next day, Kara tries to play nice with Marisol, complimenting her on her shoes. She casually brings up their issue and apologizes cooly, wanting Marisol to drop the complaint. Marisol sees right through it, and tells Kara to offer her the anchor spot on the new show Kara's producing. Kara laughs, seeing how Marisol is trying to play this situation to her advantage, and walks away. That night, Kara and Mary Jane go to get some barbecue, and MJ sees David with his fiancee and daughter. They make eye contact, but Mary Jane calmly turns around and goes on about her business. Kara asks if she's okay, and Mary Jane truly is. She's been thinking a lot about Lisa, and admits she still has a lot of guilt. MJ's also been thinking about her car accident, considering it a blessing. Getting blackmailed by Cece oddly reminded her of why she got into journalism in the first place. She's in a much better place than she was last season. She's dating for fun, she has TWO shows, and just seems to be happier. Mary Jane tells Kara that maybe Marisol is Kara's own "car accident," or blessing in disguise, Maybe this is the universe's way of pushing Kara to do what she is meant to do. Later, we see Marisol as the anchor on Kara's new show, showing us that Kara went along with Marisol's deal to try to get this complaint resolved. 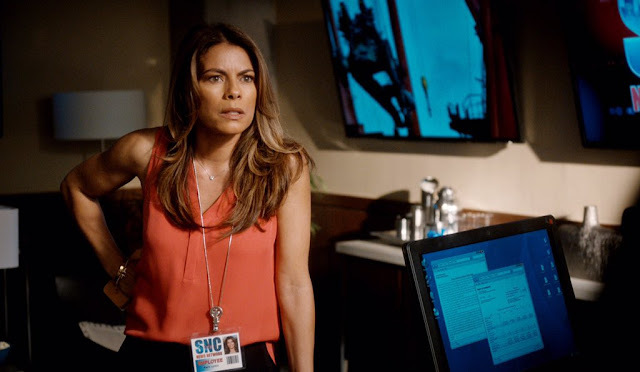 However, Kara later gets a visit from a woman in HR, stating that Marisol has filed a harassment complaint against Kara anyway, and HR will be investigating! In the meantime, Kara is not to have any contact with Marisol, which will be hard since Kara is the producer on the show Marisol's heading up! So it looks like Kara will probably lose that position. Marisol played her VERY WELL. I feel bad and mad too, because Kara's job shouldn't be in jeopardy. However, you have to be careful about what you say in the workplace, especially in today's age. Meanwhile, Mary Jane and Cece go to the publisher to sell their book idea at the publishing company. Cece loves the attention, and spills everything about how she blackmailed Mary Jane, but that it ultimately allowed them to bond. The associates at the publishing company soak it all up, seeing how this could be sold as a bizarre memoir of friendship. However, it turns out that this was really Mary Jane setting her up to be arrested! Two cops were posing as employees, recorded EVERYTHING Cece said, and quickly arrest her! Of course, Cece is pissed off, but MJ is sick of people taking it too far with her, and using her. BOOM! I really did like Cece's role on the show, but I get why Mary Jane did it. If I was being extorted for thousands of dollars, I'd try to plan something like that too. At the end of the episode, Mary Jane stands in front of the mirror and reflects on her life over the past three seasons, from dealing with her family and relationships, to work and her car accident, and even her fight with Lisa and Lisa's eventual suicide. It's been a rough road for MJ, but again, she's in a much better place now, and I'm happy to see it. The episode ends with Niecy getting pulled over in her new car, with her babies in tow. Pulled over for "loud music" and not having license plates, Niecy gets confrontational with the cop and is eventually dragged out of the car, She keeps arguing with the cop, and he tases and arrests WHILE HER SON IS WATCHING! Of course, in this social media age, someone records the entire thing. Nina watches it back at SNC, and shows Mary Jane, not knowing that's MJ's niece. Mary Jane freezes as she watches Niecy being tackled to the ground, in the same manner that we've seen several cops aggressively take down people in the past few years. Now, I have to be honest about this. I do not condone the cop's actions completely. With the babies in the car, he probably should have taken another approach to this. HOWEVER, people are natural reactors. We react to how people approach us, and Niecy approached him rudely which set him off. I believe in knowing and asserting your rights, but there's a way to go about it. In fact, BET wrote a piece on what people should do if they get pulled over. To me, I feel like the main piece is remaining calm even when you know you didn't do anything. Niecy was aggressive from the jump, which caused him to be aggressive as well. I'm sure that this will be a debate online for a few days. I'm not sure what the end result will be for Niecy, but that was definitely an interesting way to end the season! What did you think of the Being Mary Jane season 3 finale? NEW MUSIC: "Wherever Wherever"- Singer Donye'a G.